I've found that yesterday's Magritte painting, The Bungler was painted for the International Bulletin of Surrealism (Belgium edition), also I was watching a DVD on Magritte and this film footage of an oil painting appeared. I've never seen the painting before, So I'm going to try and hunt it out. 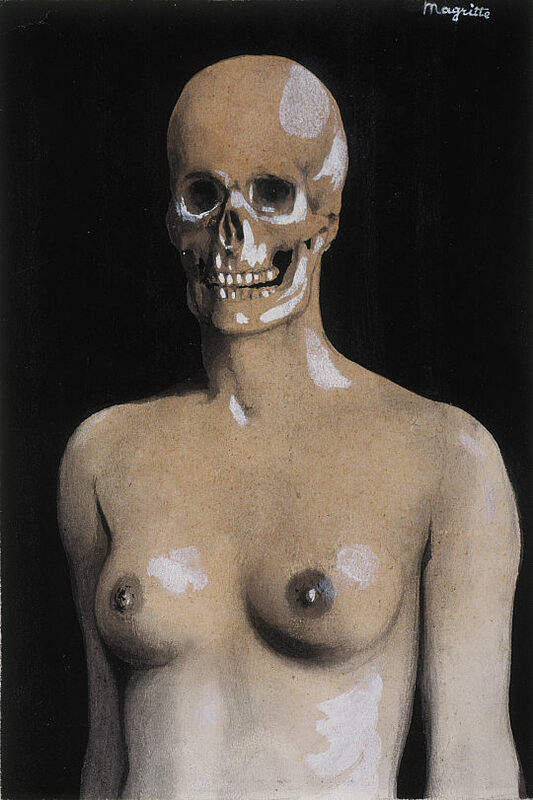 Rene Magritte, La Gâcheuse (The Bungler), 1935, collection of the National Galleries of Scotland. It's only a small work, about A4 size if I remember rightly. I saw in in 2003 in the Nat Gallery in Edinburgh in the Roland Penrose collection and it reached out and rang the gong in the head. I had a the postcard of it hanging on my studio for years and it influenced many paintings, including some of the large works I did in Scotland during my 2003 Royal Overseas League Residency.